You can expect an honest, down to Earth, in-depth Reading and a real sense of connection to Spirit. You will receive exactly what you need, be it clarity, direction, guidance about your Divine Life Purpose, a connection with lost Loved One, or your Spirit Guides, Past Life information, Soul Contracts, work and love. You will walk away feeling shifted and uplifted. Private Mentoring available as well. If you are serious about your spiritual advancement and would like to work one on one with a teacher and supportive coach, to understand, develop and control your intuitive expansion, Amy can help. Private mentoring sessions are available to answer all your questions and get to the bottom of what may be blocking you, how to move forward towards your divine life purpose, work with your Guide Team, open your psychic abilities and more. Come with questions and what your want to work on! 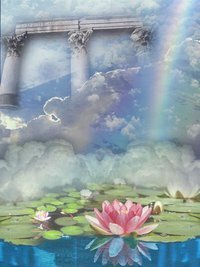 Reiki channels vital life force energy into the body, mind and spirit, gently releasing all that you are ready to let go of and rebalancing the Chakras and energy field. Reiki can release energetic blockages causing discord in the body and bring you whole you back into alignment physically, mentally, emotionally and spiritually. Through the Nantucket Community School, Amy is now offering a series of Spiritual Development Classes in the Spring and Fall Semesters. ​the aura, psychic protection, ethics of energy work, how Reiki heals the body and more. We will also explore the spiritual, intuitive and psychic aspects of energy healing, mind-body connection, past life issues, how to get to the real root of a problem, the use of a pendulum for reading Chakras and more. Later Levels of Reiki Certifications teach sending energy long distance, working on plants and animals and becoming a professional. Minimum of 4 students required. This Reiki Second Degree course is the follow up training to the Reiki Level I Certification and not your typical Reiki II class! This course will enable you to provide a stronger level healing energy whether you use it for your own healing, giving treatments to friends, family, pets and incorporating elements of Reiki within your profession, or even expand to the community as a volunteer. Your Reiki will be super-charged! We will be delving into the intuitive side of energy work again as well as discussing challenges that may arise as you move ahead on your path with Reiki and how to deal with those in a compassionate and ethical way for the highest and best of everyone involved. • Increase the power of your Reiki healing energy to 100%. • Send energy to balance emotions and help heal relationships. • Send Reiki distantly to another person anywhere in the world through time and space. • You will learn the many uses of Reiki in your everyday life. • You will receive the Reiki Level II attunement and have hands-on practice using the Reiki II symbols. • You will receive a Certificate of Certification as a Usui Reiki Second Degree Practitioner as well as a Reiki Second Degree Manual. Prerequisite: Reiki I. Usui Tradition. Wear comfortable clothes. Bring snacks, waters, pen, notebook and dinner or order out. Bring your pendulum if you have one. If you have received a Reiki I Certification from another teacher, a copy of your certificate will be required to participate. ​Minimum of 6 students required. Join psychic medium, Amy Marino in learning a form of divination called Psychometry. All objects are made from energy and hold energetic vibrations. 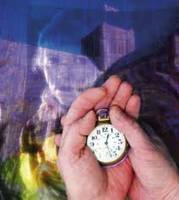 Psychometry is the ability to psychically read the energy and impressions stored in objects such as jewelry, keys and other items. Please bring a notebook and a few items to be read such as jewelry or other sentimental items. They can belong to you or someone you know as long as you can verify the information. Class will include handouts as well as practice time and homework. ​Investment: $65 Minimum of 6 students required. Join Psychic Medium, Amy Marino in exploring your Empathic abilities in a safe group of supportive and like-minded people. Being an Empath can be overwhelming. Learning the ins and outs is essential. Empaths are highly sensitive people who can feel and absorb energy, emotional and sometimes even physical pain from others. Many Empaths are sensitive to the news, crowds, negative people and toxic environments. It can be difficult to block it all out, all of the time an even harder to determine what is yours and what isn’t. You might be an Empath if you constantly feel drained, exhausted, have “mystery” health issues Doctors cannot explain, regular weight fluctuations, depression, anxiety, digestion issues, thyroid or adrenal issues, lethargy, trouble focusing, have an aversion to crowds and heightened sensitivities. Get off the emotional rollercoaster! Help is available! Learn the essentials of being an Empath, understand your particular empathic abilities and learn how to control your gifts so they don’t control you. We will cover all the Empath Essentials such as grounding your energy, protecting yourself, clearing absorbed energies, personal boundaries, identifying how you personally work, necessary tools for self-care and the divine life purpose of the Empath. Claim your life back. Get empowered! This class is being taught by Rev. Amy Marino, Psychic Medium, Reiki Master Teacher. Includes 15 page in depth manual. Minimum of 6 students required. Minimum of 6 students required. For the very sensitive Empath, day to day life can be a battlefield. Now that you have the understanding and foundational practices learned in Empowering the Empath 1: The Essentials, we can begin to strengthen and control these empathic gifts. This class is being taught by Rev. Amy Marino, Psychic Medium, Reiki Master Teacher. This is the first course of Usui (traditional) Reiki but not your typical Reiki class! Two full days of class (versus the usual one day) will give you the strong foundation and extra practice time you need to feel confident in your new found healing abilities. You won't find a more thorough Reiki I class out there! Includes 100 page manual. Ancient sacred knowledge and healing energy is passed on from teacher to student. We will study the history of Reiki, it's application, opening the Chakras, body scanning, the aura, psychic protection, ethics of energy work, how Reiki heals the body and more. We will also explore the spiritual, intuitive and psychic aspects of energy healing, mind-body connection, past life issues, how to get to the real root of a problem, the use of a pendulum for reading Chakras and more. This class includes hands on practice time. Students will receive the Reiki I attunement, thorough instruction manual and Reiki I certificate. Please include your phone number when registering. This class is being taught by Rev. Amy Marino, Psychic Medium, Reiki Master Teacher. Registration required by Wednesday prior to class. A $50 non-refundable deposit is due at time of registration to cover the cost of manuals. Minimum of 6 students.